Do you want a tool for teaching programming and computer science to kids? Are you looking for a portable device to help you stream movies and your videos to your TV? Maybe you want to play around with robotics or build some cool electronic gizmos. Then what you’re looking for is Raspberry Pi. It’s not a dessert. Rather it’s a small, inexpensive computer, which can connect to a wide array of other devices, for a wide variety of different uses. But what, exactly, is Raspberry Pi, and who’s using it? Let’s take a look. The Raspberry Pi device was initially created as a tool to teach kids the basics of coding, programming, and other computer science skills. It’s a single-board computer, about the size of a credit card, which can connect fairly simply to a monitor or other display. When used with a standard keyboard and mouse, it functions like a regular, full-sized computer. The catch is, it doesn’t come with, say, Windows. Its operating system is very basic, and whatever functions you want it to perform, you have to program it to do. But once you learn how to do that, then the sky’s the limit. You can use the Raspberry Pi to stream high definition video to your television or home theater. You can connect it to a camera to make everything from a DIY GoPro to a home surveillance system to a photo booth for events! You can use it to monitor the temperature of your refrigerator, control the humidity in your home, and much more. You can even use it to build a robot and program it to follow a series of commands and protocols. With a little ingenuity, you can connect it to all different devices, and program it to do just about anything you can imagine. The Raspberry Pi isn’t just for individual computer aficionados to piece together their own DIY projects. It’s being used by some major corporations to solve some major problems. For instance, economic newspaper The Financial Times had was having a problem with Nagios, the program that monitors their IT infrastructure. Nagios is programmed to send an alert e-mail to the appropriate staff members whenever it detects a problem with the system. Unfortunately, as an international newspaper, the Financial Times gets tons of e-mails every day. As a result, these important alerts were getting buried, and network problems were going unnoticed and unaddressed. The solution? Use a Raspberry Pi to create a more visual alert that’s harder to ignore. They connected the device to a strip of LED lights and programmed it to light them up whenever there was an alert from Nagios. What’s more, they programmed different colors for different levels of severity. So if you see a green light, you know everything’s OK. But if you see red, you know there’s a critical problem. And if the red light is flashing, that problem has been going for at least half an hour. Using this system, the Financial Times is able to keep better tabs on their systems and keep things functioning within acceptable parameters. Meanwhile, IBM is using Raspberry Pi in conjunction with NODE-Red, their programming tool for the Internet of Things, to create proof of concept systems. This includes everything from monitoring production at a factory to sensing (and controlling) temperature and humidity levels, and much more. This is all just the tip of the iceberg when it comes to what the Raspberry Pi can do. If you have the ingenuity and the parts, you can program it to control just about anything, and solve a whole range of problems, both in your individual life and in your business. 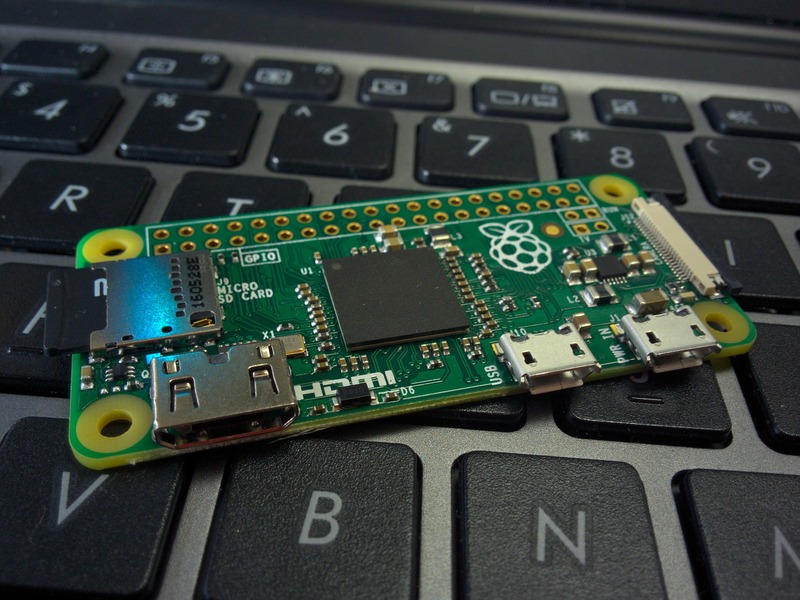 How will you use the Raspberry Pi to make your life easier—or just more interesting?